Few issues cause academics to disagree more than gender and race, especially when topics are addressed in terms of biological differences. To conduct research in these areas or comment favorably on research can subject one to scorn.When these topics are addressed, they generally take the form of philosophical debates. Anthony Walsh focuses upon such debates and supporting research. 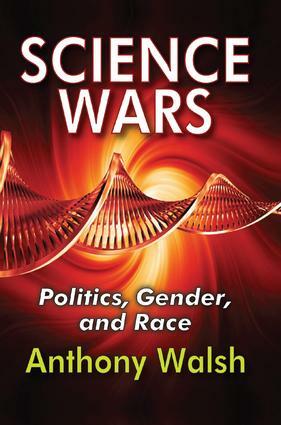 He divides parties into biologists and social constructionists, arguing that biologists remain focused on laboratory work, while constructionists are acutely aware of the impact of biologists in contested territories.Science Wars introduces the ideas motivating the parties and examines social constructionism and its issues with science. He explores arguments over conceptual tools scientists love and constructionists abhor, and he provides a solid discussion of the co-evolution of genes and culture. Walsh then focuses his attention on gender, how constructionists view it, and the neuroscience explanation of gender differences. Moving to race, Walsh looks at how some have tried to bury the concept of race, while others emphasize it. He considers definitions of race—essentialist, taxonomic, population, and lineage—as they have evolved from the time of the Enlightenment to the present. And finally, he attempts to bring the opposing sides together by pointing out what each can bring to a meaningful discussion.